A thief, who was sentenced to one thousand years of confinement for her numerous crimes. Because eighty percent of the criminal incident in Paris was her doing, she was called the greatest villain in Paris. She has a tendency to use any means to achieve her goal: she used her spiritual powers to commit her crimes, and burned a famous painting when the enemy tried to use it as a bargaining chip. Born between a Romanian father and an Italian mother. When the Paris Hanagumi members are being led into the prison, where she was detained, to recruit her, she takes Erica as hostage. However, because of Erica's comical yet sincere approach, she was confused and captured off guard. Even though Erica was taken hostage by her, Erica manages to heal her wounds, much to her surprise. 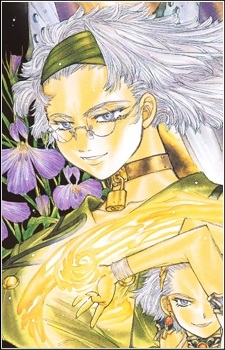 The only anti-hero throughout the three Hanagumi, she joins the Paris Hanagumi under the condition that her sentence would be reduced and a huge reward would be given with each dispatch (on the other hand, if she refuses to join, Grand Mere has the right to do as she pleases, even to kill her). She hesitates to intimate interaction with people, and often acts cold, selfish and irresponsible, in order to keep people from becoming close to her. However, to Erica, those actions had no effect. Because Erica keeps approaching her as a normal person worthy of attention, and because she cannot stop Erica from doing so, she has a hard time dealing with Erica. Even so, she does care for Erica. In Chapter 7 of the game, she baked a birthday cake for Erica, and in Chapter 8, contrary to her words, she searches for Erica. Sakura Taisen: Ecole De Paris shows how Lobelia and Erica first met; Lobelia, while being chased by the police, accidentally knocks Erica into a pile of trash. It also shows how she is captured before being recruited. After the attempt by Grand Mere to capture her fails, Norimichi Sakomizu shoots a spiritual bullet through her heart. Because of her powers, she is only temporary paralyzed. After refusing an offer by Ogami, she is finally recruited by Grand Mere. She dances a gypsy dance as "Saphir" at Chattes Noires. Her dancing is very good, making detective Evian a fan. She likes gambling and has extensive knowledge of whiskey and wine.